Salmon is one of the most economically important seafood species to the US. Washington provides a small fraction of the salmon on the market, and most is sold domestically. Returns of pink salmon are variable, with large numbers of pink salmon returning during odd years. Management is highly effective, and is enforced federally by the Department of Fisheries and Oceans, as well as by the Pacific Salmon Treaty and the Fraser River Panel. Total allowable catch is regulated during the season and is modified according to escapement numbers that are monitored twice a week. Pink salmon have life history characteristics that make them resistant to fishing pressure. Population abundances are healthy and they are not overfished. Bycatch is minimal since reefnets are highly selective, and non-salmonid species are rarely caught. Although individuals from other sensitive or vulnerable salmon stocks are sometimes caught, only hatchery salmon may be retained by the reefnet fishery, and wild individuals are returned live. 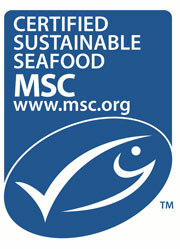 This ensures that the reefnet fishing does not reduce the population of vulnerable wild stocks. Reefnets do not typically cause habitat damage since they are not in contact with the sea floor. However, the impacts of removing salmon from the ecosystem are not well understood, despite the important ecological role that the salmon play as a keystone species. Alaska except South East Alaska, Yakutat, and Annette Islands Reserve. Pink salmon, like other pacific salmon, require both freshwater and marine systems to complete life cycle. Over thousands of years of returning to their natal streams to spawn, salmon have become reproductively isolated and genetically distinct from salmon in other river systems. Habitat degradation, changing ocean conditions and fishing pressure threaten many of these distinct groups of salmon. Pink salmon have a short, two-year life cycle. Juveniles spend only a few months in freshwater after hatching, then migrate to the ocean, returning less than two years later to spawn. 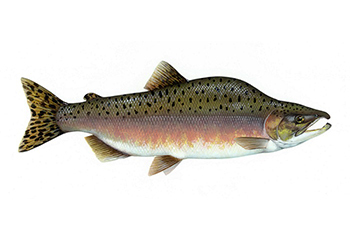 Pink salmon are the most abundant of the Pacific salmon species in BC. The status of pink salmon stocks is quite good compared to other pacific salmon species. In Alaska, salmon fisheries are managed by the Alaska Department of Fish and Game. A major challenge in salmon fisheries management is the significant year-to-year variation in salmon run abundance. In both BC and Alaska salmon fisheries managers establish pre-season estimates and then perform in-season assessments to determine catch limits. In both regions conservation is the primary objective in management plans; however, these objectives need to be balanced with the social and economic requirements of the various stakeholders, particularly obligations to Aboriginal people. Pink Salmon harvesting is highly specific so bycatch is considered low compared to total catch. Most commercial pink harvests operate as mixed-stock fisheries which can capture pinks from several different stocks at once. This poses a challenge to managing stocks that are of conservation concern. Seine, Gillnet and troll fishing gear have minimal impact on marine habitats as they do not usually make contact with the seafloor. Removing salmon from the ocean and the decline of salmon returning to river systems may have significant ecosystem impacts. Marine and terrestrial mammals and birds rely on salmon for food and the forests adjacent to salmon bearing streams are closely linked to the nutrients from the salmon.